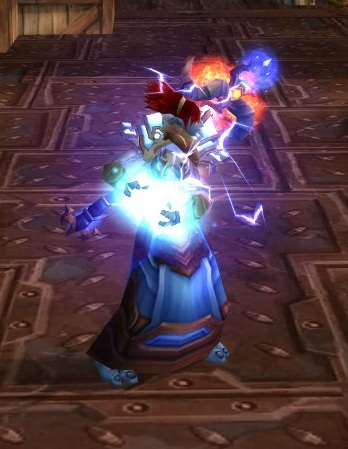 Blog Azeroth Secret Santa (Zoxy): How To Beat The Auctioneers? I hope you had a great holiday if that applies to you, if not I hope you’ve had a good week regardless. 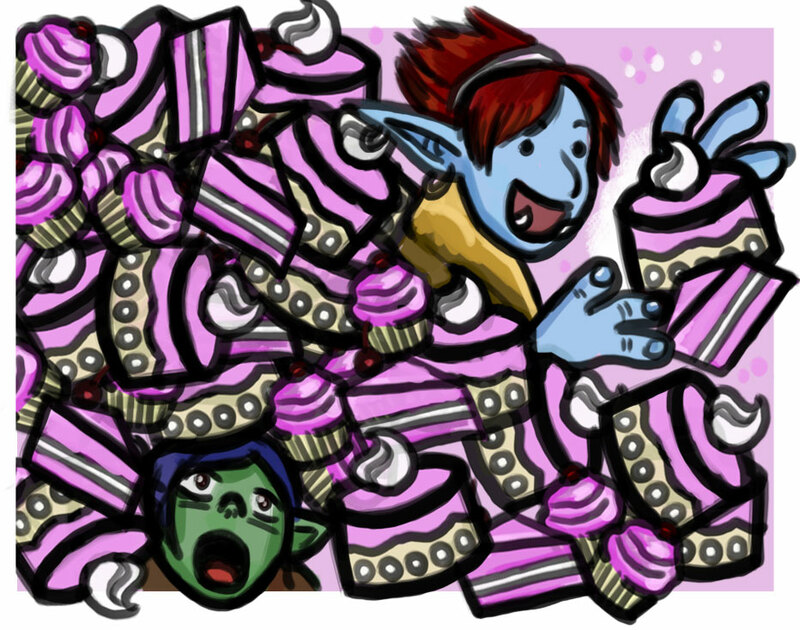 This post is from the Blog Azeroth Secret Santa exchange. Bloggers were randomly paired with other bloggers and given the task of writing them a post on a topic they might enjoy. 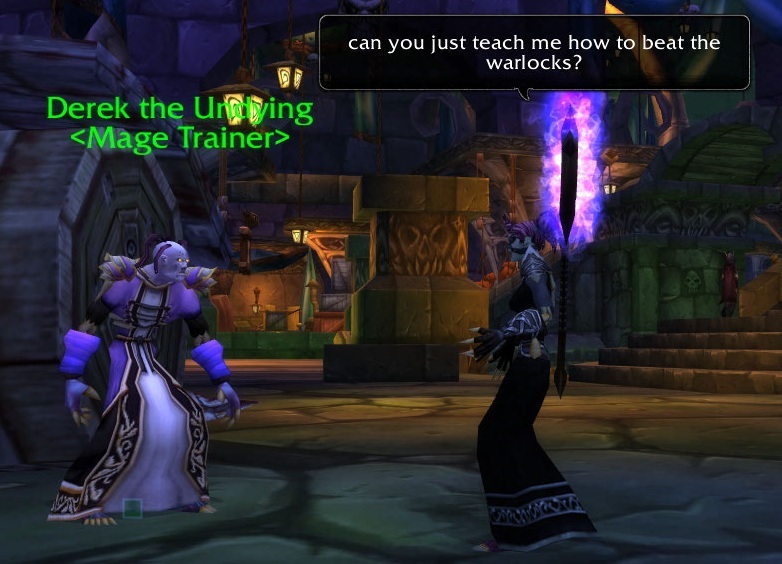 The post that I wrote can be found at Pixelated Executioner, where I wrote for Pix on the topic of draenei, lore, and gingerbread! You can roll on over there to read about that if you like. My guest post was from Zoxy – not an easy task for him, I’d imagine, considering I pretty much never talk about making gold and that’s his blog’s focus. He noticed that I’d mentioned I wanted my latest druid alt to make her own gold for flying and be self-sufficient, and so he wrote some auctioning tips for me. Thanks for the post, Zoxy! How To Beat the Auctioneers? So at Trading with Zoxy I normally blog about the best ways to make gold but after reading this blog realized that my normal tips on how to make gold didn’t exactly suit. But part of a recent post caught my eye about being self sufficient. 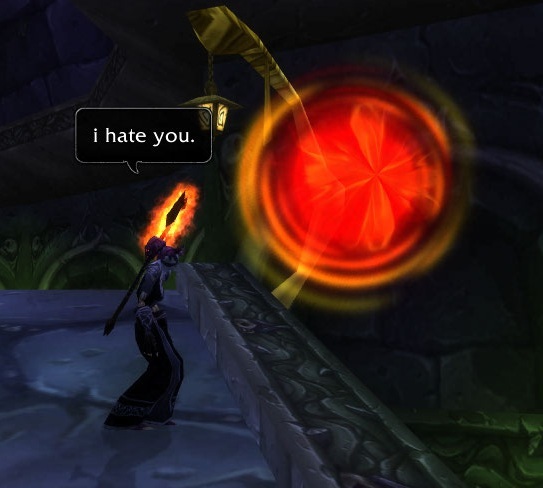 So what I want to do is look at the ways to make your gold go further when buying off the AH . So sellers such as my self will work with a couple of key strategies in mind to make the best out of the markets that we sell in. So those are the main strategies that I use to make gold and the best of the market but what actually are they? The weekend is really a buyers’ market and not a very good time to sell, the reason is that a larger volume of casual players are online and because of this there is a much larger of volume of items being listed and as most players use an add-on like auctioneer and set it to automatically to undercut. So this means by the afternoon on Saturday that the market has already dropped a big amount. I normally wait till Saturday evening when people log off 11pm to 2am and then will buy most of my stock then. This is another important point that if you are selling then remember to sell during the week . A great example of this is people need consumables for Raiding . So on a Wednesday post those items that raiders use . Also on the flip side of this after the raids people will need new enchants and gems so make sure there posted up after raid resets too. Overall during the week there is lower demand and less supply so the prices will increase . Many Sellers such as myself are resellers , this means that we look out for rare items and then flip them for massive profits. An example is recipes: I find many rare recipes for a few gold and then flip them and sell them for their actual worth. I normally make 1 or 2k from a single recipe. So because of this our profit margins are normally really high and so make a offer if there is an item on the AH that seems above your limit. Just today I managed to get one of my main competitors to sell me a recipe I wanted to for my main at 50% of their list price. Saronite is a great example here I have been buying massive amounts of this must have about 3000 ore now, and I paid a maximum of 12.5 gold for it per 20. In simple terms if the market is low don’t sell you items without checking the vendor value. One way to make a lot of gold is to shuffle items, an example is if you have a jewelcrafter . I buy all the Eternal Earth under 3 gold and make into Stoneguard Bands giving me Infinite dust and Greater eternal essences. So each Ring normally nets between 4-7 dust or 2-3 essences. Meaning that these are great item to profit on . This is also now working with the new Cata ores too. So with this always be on the lookout for what can be converted. Did you used to convert your frozen orbs to eternals or just sell the orbs? 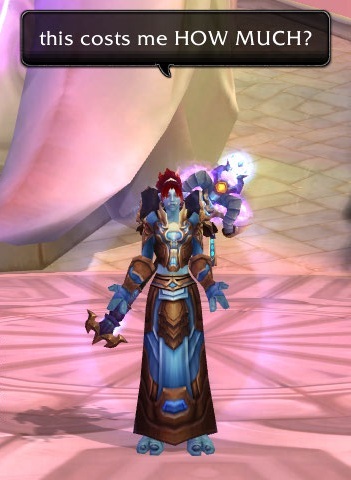 We are currently in the festival of winter veil and I have made around 10,000g just from selling the winter veil items . So my advice here is to make sure what items you will need prior to these events as if we take Small Eggs for a example , they normally sell for about 50s each but during Winter veil they have been selling for about 4g each . So why pay 20g when you only needed to pay 2? 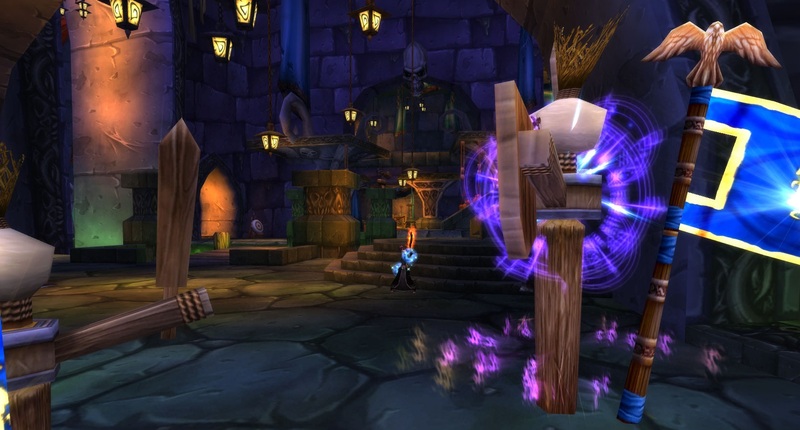 Patch day is always a massive opportunity to make gold, so don’t get caught out. My simple bit of advice is don’t buy anything on a patch day that would be classed as a Big Ticket item. My example here is a recipe: Savory Deviate Delight. Pre Shattering it sold for 2-3k on my server but now only sells for 100g . On that day I managed to go out and farm 3 for myself in 30 mins due to the changed drop rates and then sell them for 1k each before people were aware. So be careful and make sure you have read those patch notes. Can you shuffle it to make it worth more ? Be Careful on Patch day don’t buy high ticket items. So thanks for reading and I hope the tips help your gold go further and understand what us auctioneers are up to when were doing odd things . If you have any questions then please ask. Well have a good festive season all.